The requirement for decreasing printing costs appears every time worldwide. People search for methods to save money and not to lose on quality, and find them by using CISS. Companies which satisfy this requirement work independently worldwide. Companies which offer the most convenient conditions, quality and prices, grow faster than others. 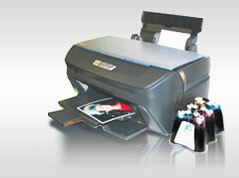 INKSYSTEM is one of the fastest-growing companies in a segment of compatible consumables for printing in the world. For the last 3 years our company sales volumes increased by 20 times. Today INKSYSTEM is a world leader in this segment and works with hundreds of partners in different parts of the world. We are the unique company in the world market which not only sells you a high-quality product, but also provides a complete and functional business model for successful business in your region. Other than official representative offices of our company displayed on our site, we sell in the remotest parts of the planet. We are glad to begin cooperation with large and beginner companies in different parts of the world which accept our principles and aspiration to make printing technologies for people all over the world accessible without restrictions on cost of consumables.